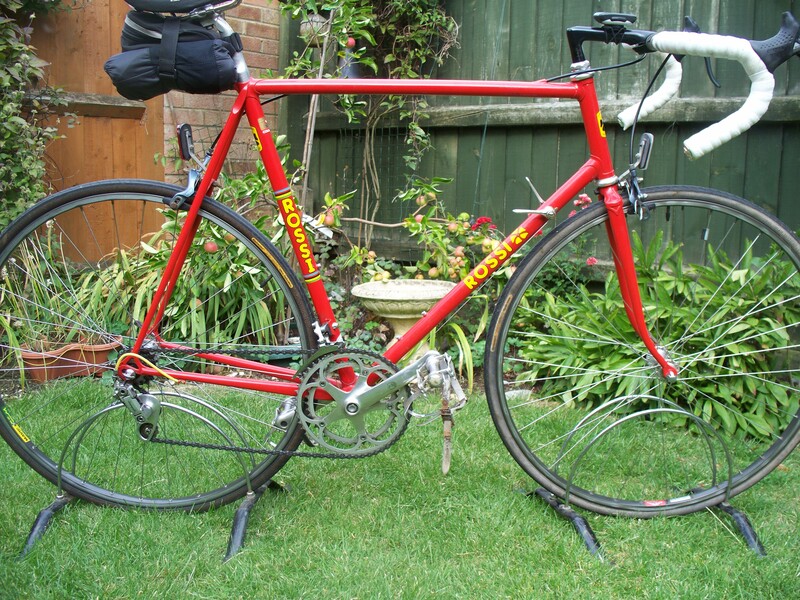 Over the 7+ years I have been buying and selling retro road bikes I have built a few from bare frames that I have bought. These builds have either been totally done by myself or sub contracted out to my local bike shop to do some of the work and then I have finished them off . The first thing you learn is that the build normally goes over your budgeted amount for whatever reason and you also learn that the build has to be fairly flexible . I always start with a basic idea of what I want the finished bike to include part wise and then go from there . 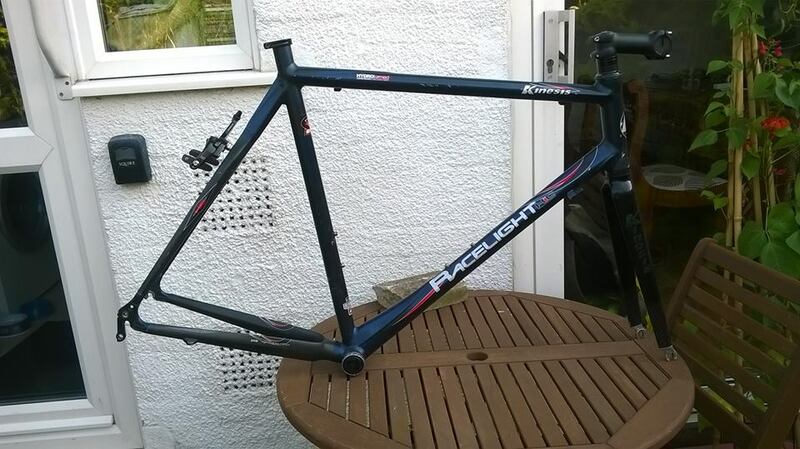 I normally keep the frame for a good couple of weeks before I start the build to stop myself just fitting parts without thinking it through first . I currently have 3 framesets awaiting build, one has been with me less than 24 hours, another has been here about 2 months whilst the third has been with me for coming up to 6 months now . 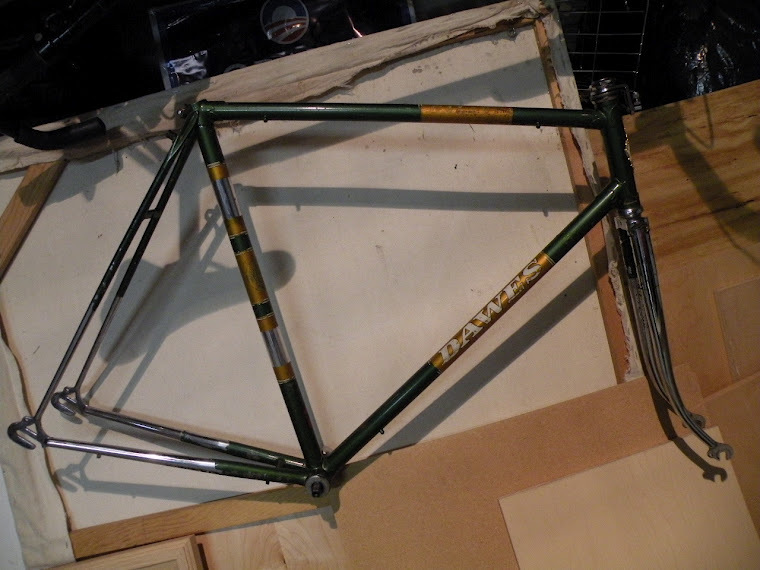 The Dawes Galaxy frame build plan has always been the same from the start i.e. 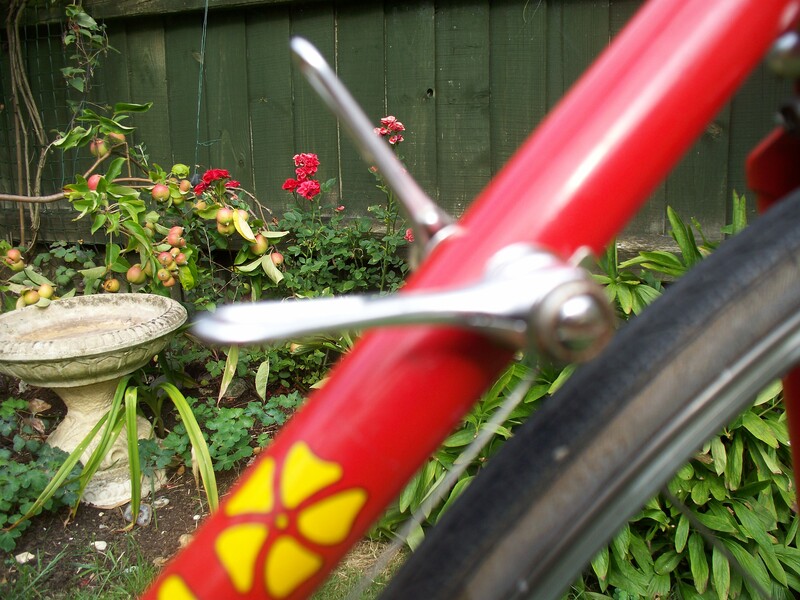 to be fitted with a set of butterfly bars. 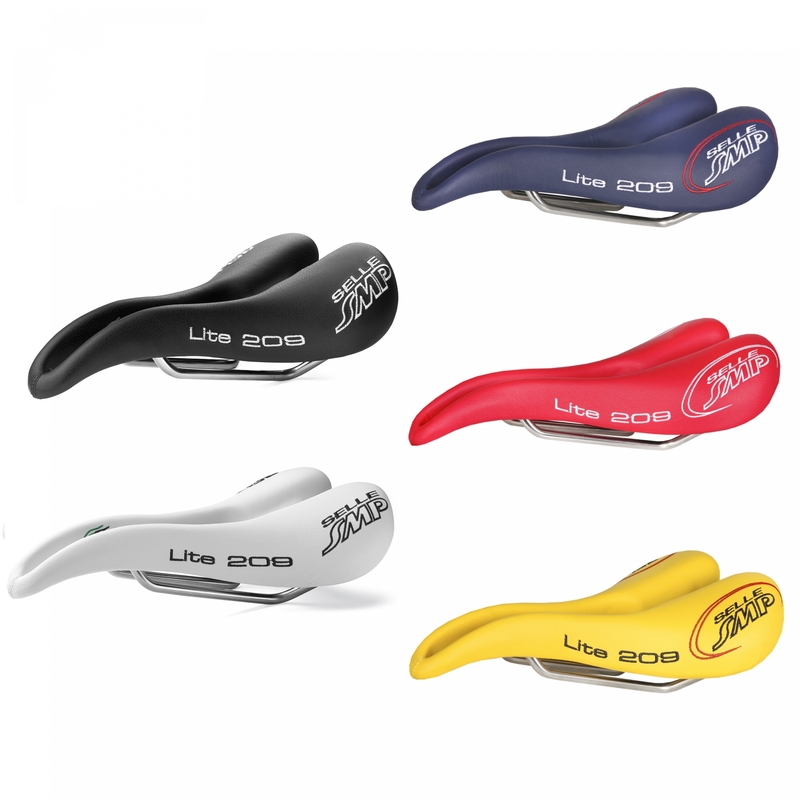 This will give it the multiple choice of handlebar positions a good touring bike should offer to make any long ride comfy should the rider need to . 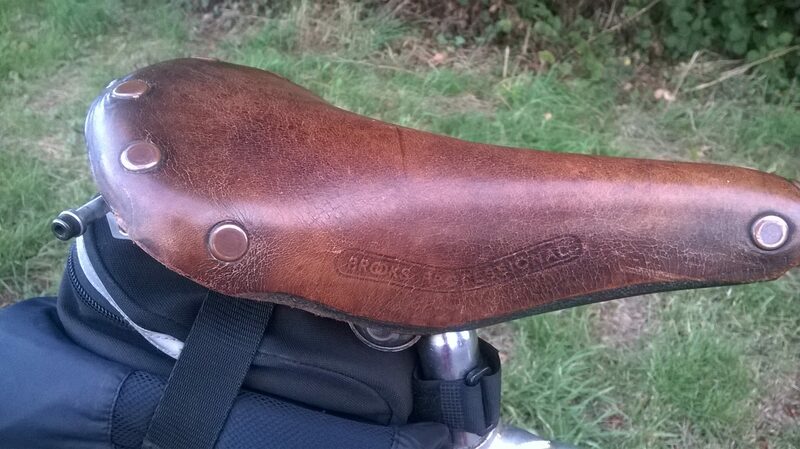 The plan has always included the fitment of a Brooks saddle as well . The rest of the build has remained flexible . 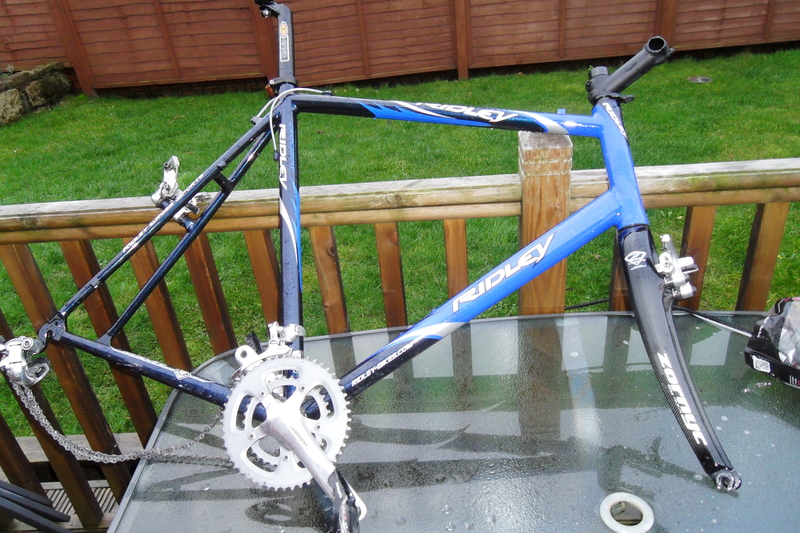 The second frameset is a Ridley Crossbow that was purchased as a complete bike minus a wheelset , gear leverage and bars so its build is always going to be a bit easier to finish off, I just need to decide on either campagnola or shimano gearing . 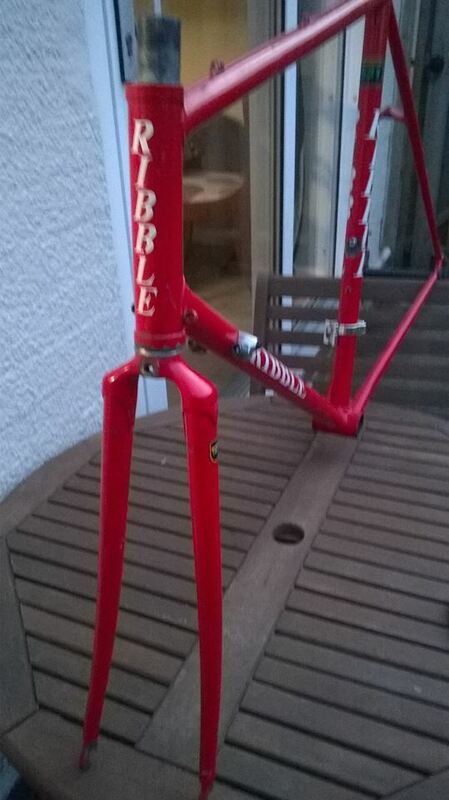 The third frameset is a good old steel Reynolds 531 frame made for Ribble that only arrived last night , my first thought on this is to build it in to a cheap single speeder or I am tempted to even try another fixed gear build .I could also have a go at building another lightweight bike i.e. 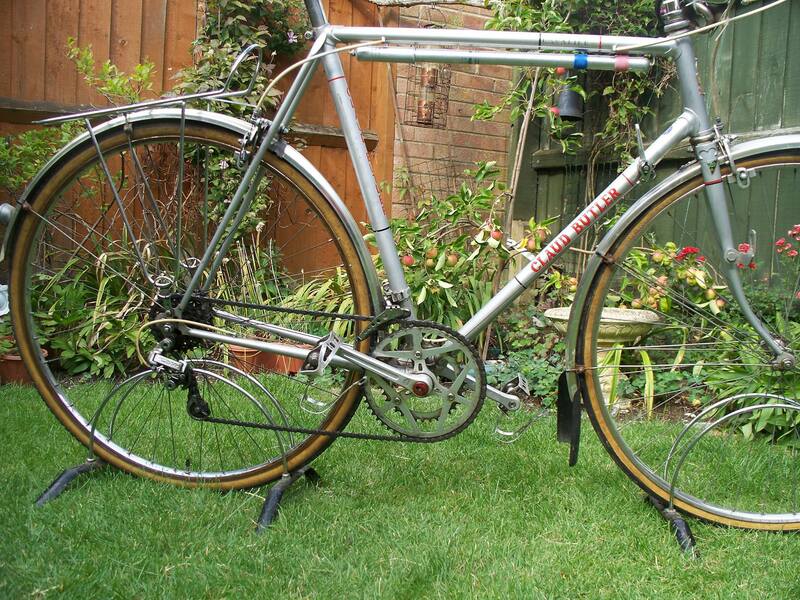 sprint wheels & tubular tyres as per my current Claud Butler Sierra. Time will tell for all 3 builds and no doubt I will blog about all in the near future. 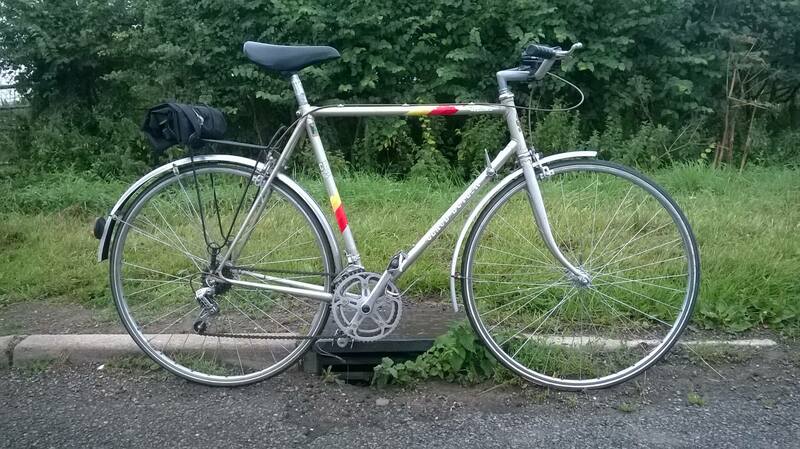 I was swapping private messages the other day on a Cycling forum with a n other member who said he keeps thinking about starting up a little “ cottage type” industry selling retro bikes . This is something myself and my partner have often discussed from time to time , but we have never taken the jump to actually doing it whole heartedly . Several people would say that after buying and selling retro road bikes for the last 7+ years and having completed over 150 transactions in that time we are almost there anyway . The main reasons that stop me are I have no dedicated work space , I don’t have enough experience of doing certain jobs and the lack of specialist tools. 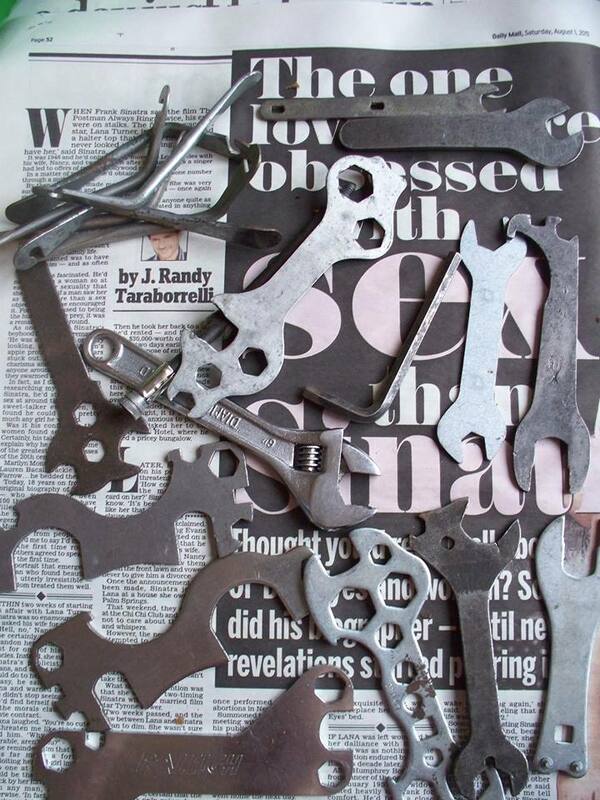 Over the years I have bought tools as and when I feel the need to obtain them for certain jobs , a recent bike purchase came with a selection of bike tools that will be used if a job requiring them arises . A lack of space is a harder problem to sort. Although my current facility is ok, it’s far from ideal, mainly due to not having an allocated work space where I could leave a bike partly dismantled without having to move another bike around it , at the moment I like to try and make sure each job is finished before getting into this situation . The easiest answer would be to have a bigger unit or a completely separate working unit , both have their own issues more space could mean more room to put clutter in rather than have a clear workspace and a separate unit would mean having to move bike from place to place each time I wanted to work on said bike . 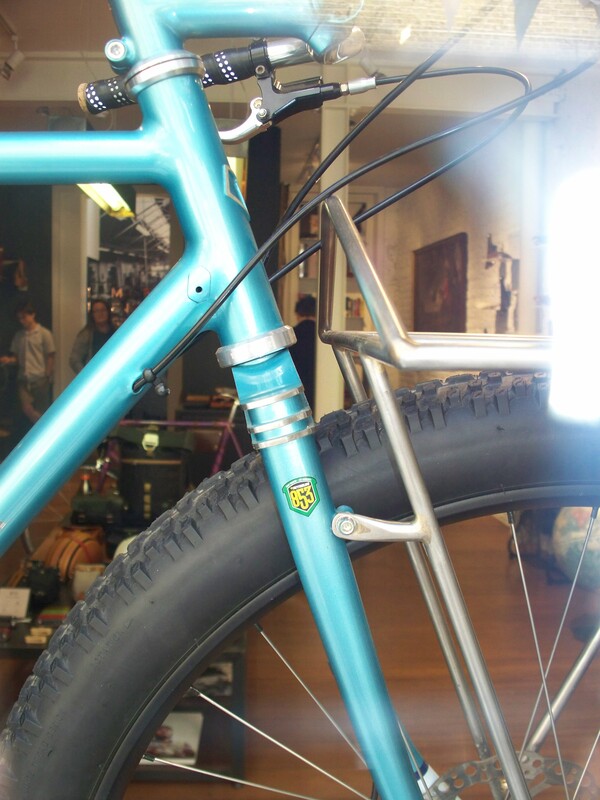 I have even approached my local bike shop a couple of times about having a couple of finished bikes on display in the their shop area , but this has never been met with much interest mainly due to them only selling Bike Shaped Object’s rather than what I call nice bikes . 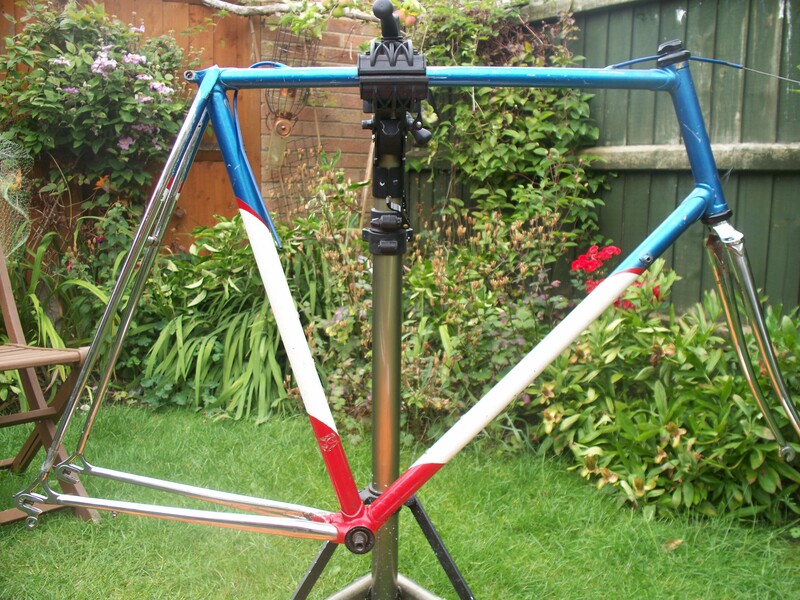 So for the time being I will continue as I have and make do , but I need to learn to do a few more jobs myself rather than relying on others doing them for me , and with this in mind I have purchased a few framesets so I can have a go at doing more of a complete bike build myself . I look forward to showing you these projects as and when I start them never mind finish them . Last Sunday morning’s ride was one that I was looking forward to for a few different reasons . It was the first ride since swapping from flat bars to drop bars on this bike . It was the second ride on this bike and I had made a few small adjustments to it to try and improve the gear change quality . It was also the first ride where the road service was dry . It was also the first ride with the Selle Smp saddle fitted . 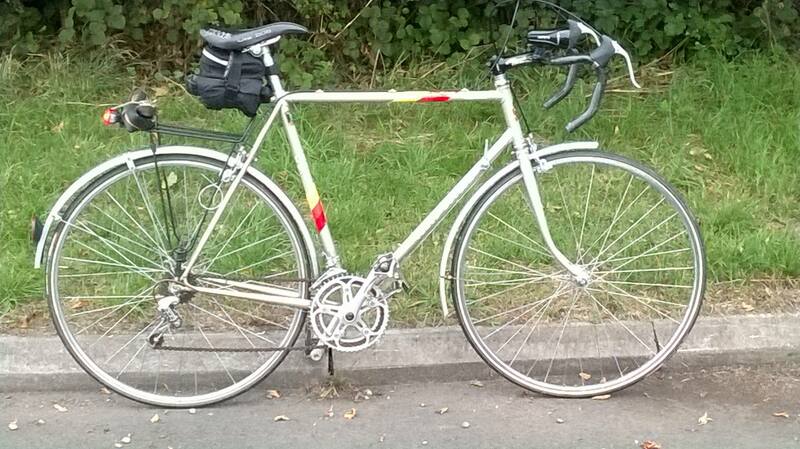 It was the first ride since fitting new inner & outer brake cables . So as you can see there were an awful lot of firsts for one ride , I normally only like to make one or two changes per ride so I can make sure I am happy with them instead of making loads of changes and not being able to notice any of them . My main reason for swapping from flats to drops was to try and get more comfortable , this was also the main reason for swapping the saddle as well . All the other changes were down to standard maintenance and adjustments . 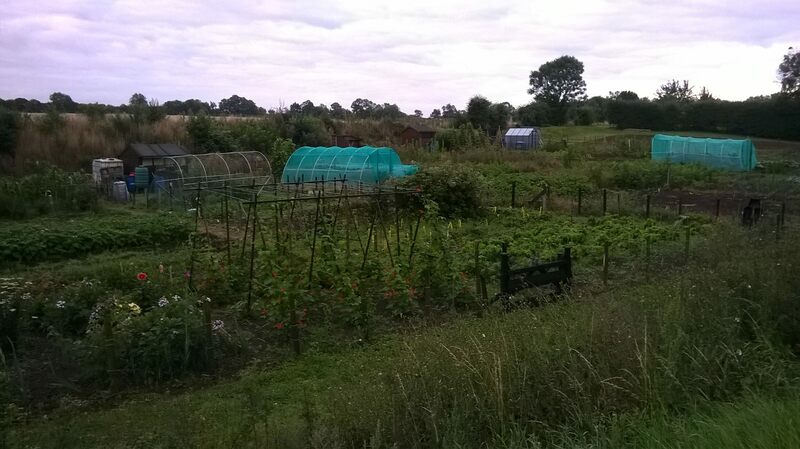 As per normal no predetermined route was in my mind as I pedaled up our drive so I headed up out of town and on to The Mad Mile, upon reaching the end I turned right heading towards Little Harrowden and then on towards Orlingbury where I was faced with 3 choices of route. 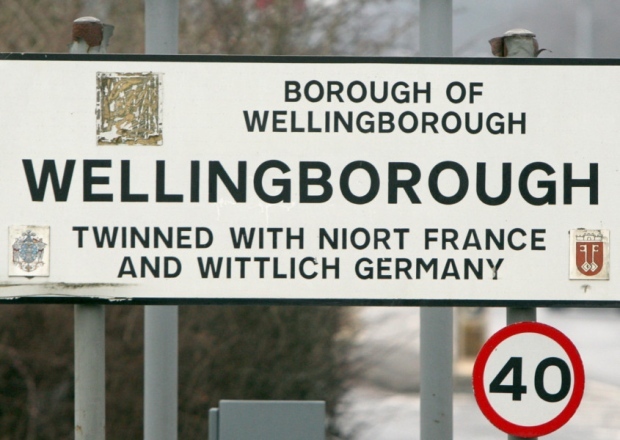 I opted for a left turn heading towards the Red House Crossroads on the A43 where I went straight across and followed the contours down to Hannington and by this time I was feeling a lot more at ease with all the changes made . In Hannington I chose to head towards Walgrave , upon entering Walgrave I made my way past the church and up through the village and headed in the direction of Holcot , where I first spotted a hot air balloon up in the sky right in the distance . 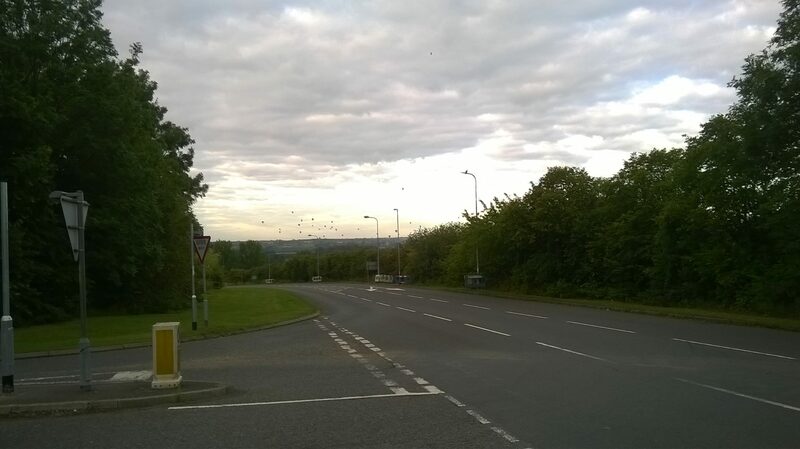 The village of Holcot was still half asleep as I rode through it, at the crossroads I turned left and headed up past the car boot ground and up the hill where I could see a few more balloons were up in the sky but still in yonder distance . The A43 was crossed and I headed down to the lovely little Hamlet of Sywell and then on to Mears Ashby where a quick stop for some liquid refreshment and a glance skyward for the balloons and I could happily see they had grown in number to about a dozen with still more coming up , once refreshed I headed for the home of Barkers shoes ie Earls Barton , upon swinging into Earls Barton I caught a glimpse of the balloons in the sky and the numbers had increased again . After leaving Earls Barton I headed towards the crossroads at the top of Hardwater where I turned right towards the Rugby club and then a nice stable high speed descent into Wilby and along the old A4500 for a hundred yards before turning left in the direction of Mears Ashby as this route avoids me using the main road into Wellingborough . Mears Ashby was void of any sign of life at all but then it was only just 7.10 am on a Sunday morning and most sensible people were still cuddled up in bed , which is where I was going once I got home . This morning’s early ride on the recently acquired 1986 Claud Butler Sierra was different to say the least . As it was only the second time I had ridden this bike I thought I would stay fairly local to home . I have no idea of this bikes previous life at all , so I can’t waffle on about it, but what I can and will waffle on about is this mornings 23 mile ride, at times I felt like just making a bee line home , but I kept going . 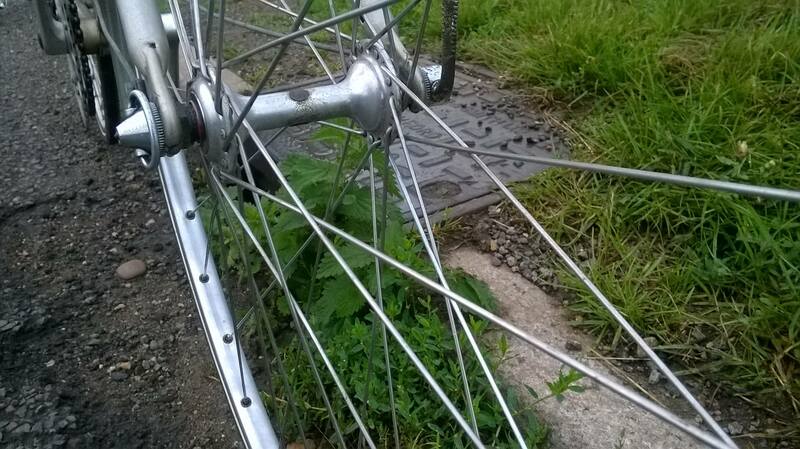 The bike came to me with a standard set of 700c alloy rimmed wheels which have been replaced by a nice light set of Sprint and Tubular wheels as I have bagged the standard wheels for another project coming soon . As can be seen the bike was fitted with a nice set of retro Sakae road champion flat bars which are due to be replaced by well who knows what as the jury are still out on what to fit bar wise .The bike also has a rear carrier and a set of full guards which are great for protecting the rider from Britian’s elements . 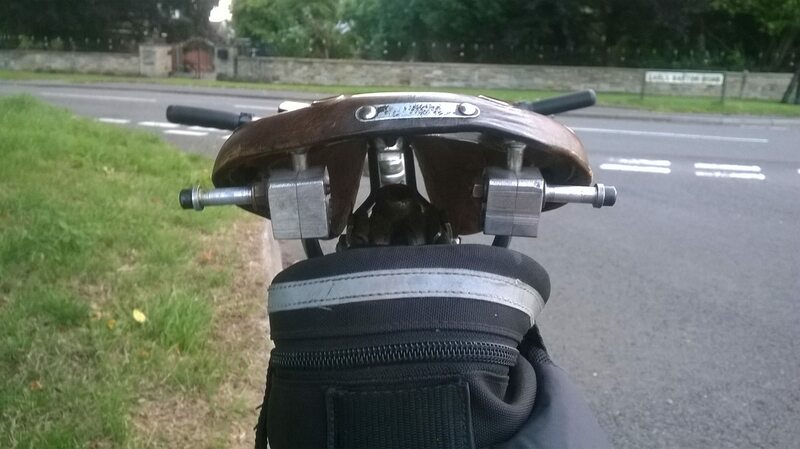 The ride this morning started off ok but I soon realised the gel saddle fitted was not as comfortable or positioned correctly on the post as my normal Selle SMP 209 lite saddle. The next thing that became apparent was that with flat bars you can’t ride on the hoods so to speak which takes away about an inch and a half of reach making you feel slightly cramped . 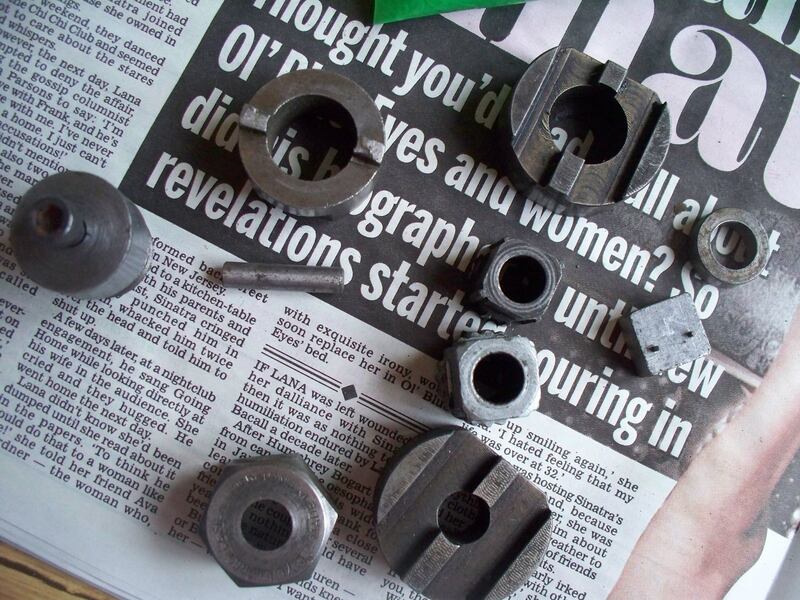 Next issue was the gear shifting quality as the last couple of bikes I have been using had indexed gear levers where as this has non indexed ones so it’s all done by trial and error with a small amount of lever jiggling now and then . The flatter sections of the ride were done with a minimal amount of gear changes to avoid any issues . A lot of the ride was done going into a head wind and I always felt that I positioned myself in a leaning forward position instead of retaining a fairly tucked position on a bike equipped with dropped handlebars . So as you can see it was an eventful ride but today has seen some adjustments done to the gears , my normal Selle smp saddle fitted and adjusted and a set of drop bars fitted ready for tomorrows ride, which, fingers crossed will be a much happier affair . 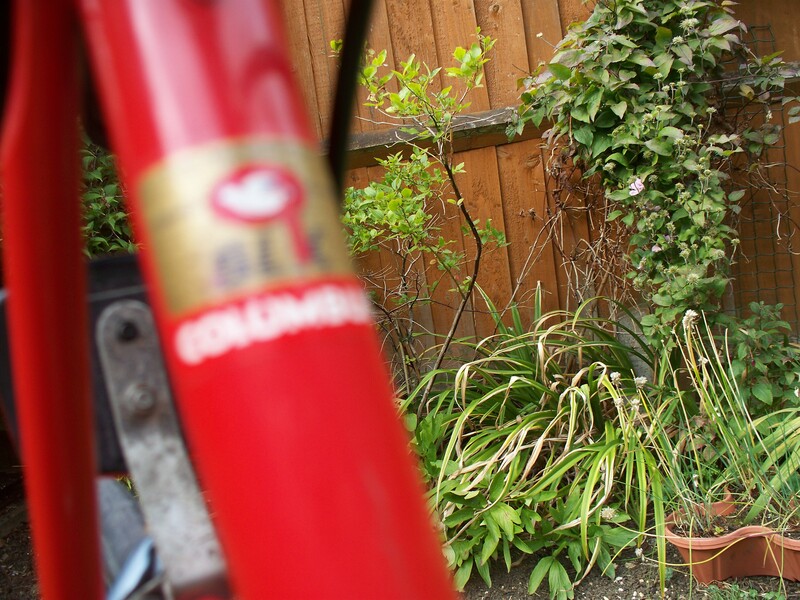 The second of this weeks collections was a 1970’s Claud Butler Cavalier road bike that almost had to be prised from the 89 year old previous owner who had owned the bike from new and had covered many a happy mile on it , he had even done all his own maintenance over the years as well . 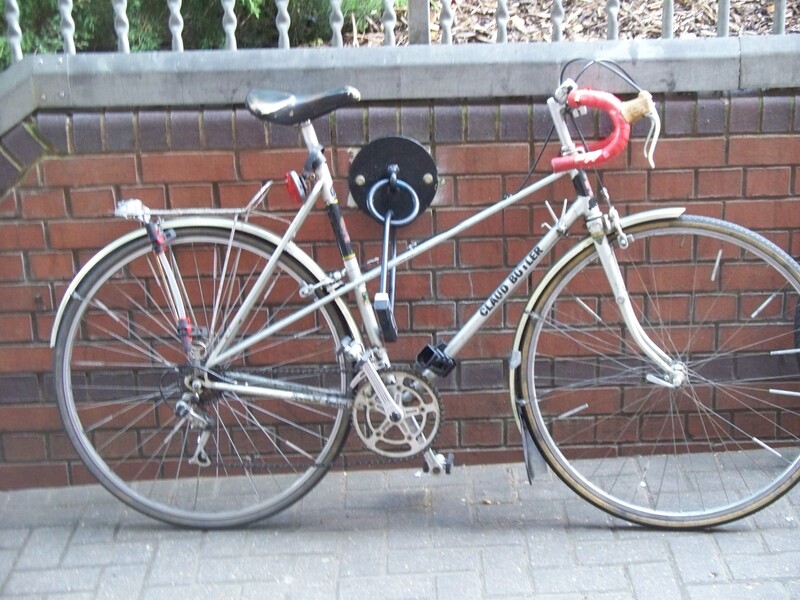 Upon collection I was greeted by the old boy who quite happily told me all about the bike and showed me all its features ie the alloy bodied frame pump and the fantastic sounding horn that was held on by multiple cable ties . 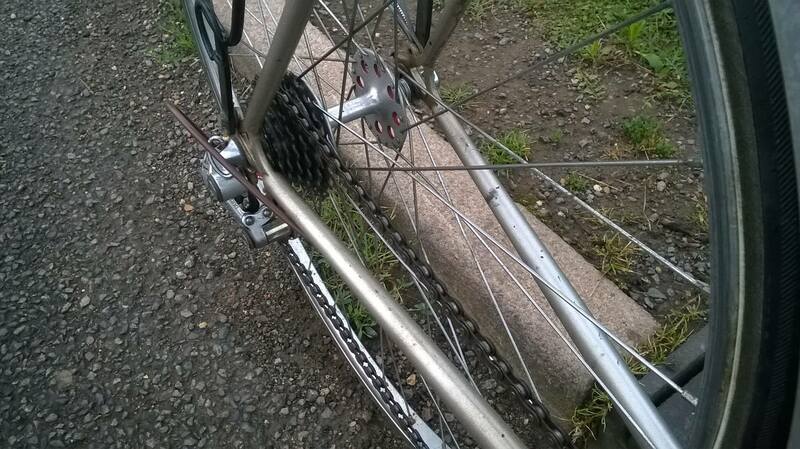 He explained why he had changed the original drops to a set of flat bars due to his age . He took time to tell me about the lovely Brooks professional saddle that had aged beautifully with some great patina , he also explained how every 6 months it needed treating with some special cream that he was also giving me . 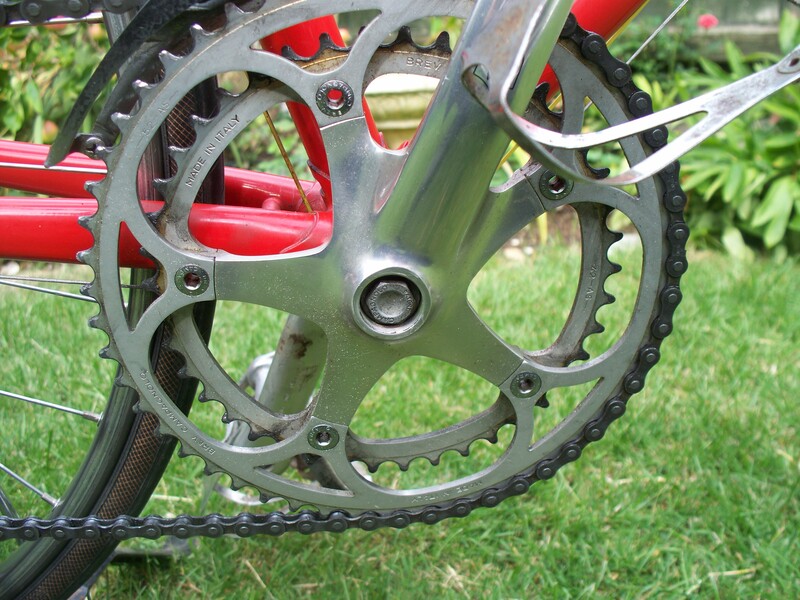 The next thing on his list of things to tell me was to explain how the rear wheel had a flippable hub that allowed you to ride the bike as 10 speed or a single speed fixed bike , I got the impression he had tried fixed once or twice but preferred the multi gear set up better . The final thing on his check list was to make sure I had a test ride around the cul de sac so I could make sure I was happy that the bike was in full working condition. I was more than happy to take his word but had a short ride just to keep the old boy quiet . It rode well enough on that short ride the three gear changes I made were sharp and clean . Once we had agreed it was a fine bike and that I would take good care of it I was allowed to load it in to the rear of my car and head home with it . He was a bit emotional but I didn’t notice any tears . 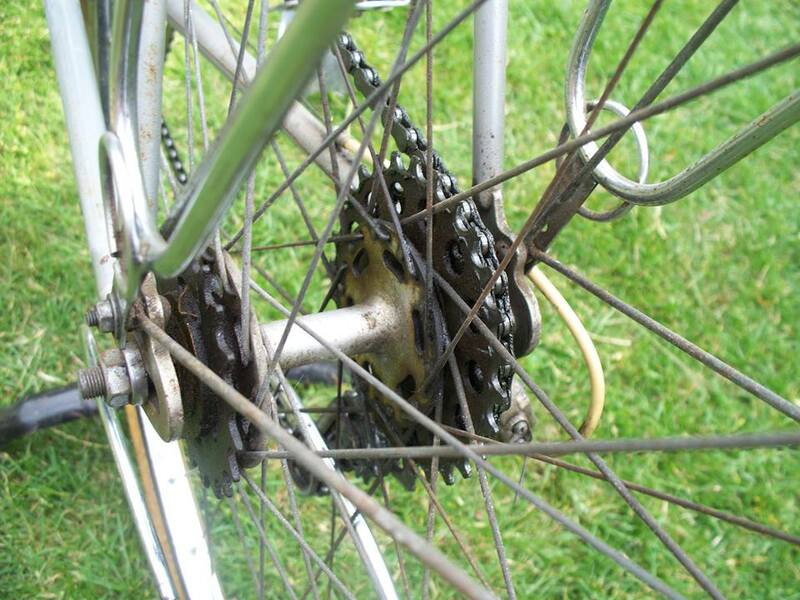 Once home I noticed that the drive chain and rear block had enough oil and grime on them to stop them from ever rusting or squeaking. The sidewalls of the tyres were starting to crack but were holding shape and deemed ok to use and the brakes operated sweetly considering the blocks were the red Wienmann ones which were working against 40+ year old steel rims . It was with great intrepidation that I decided this would be my Sunday morning mount. I set out to cover a minimum of 6 miles and hopefully 10 miles but as all was going well I did the full 15 mile loop I use that included a few hills just to test man and machine, both managed well and was extremely good . 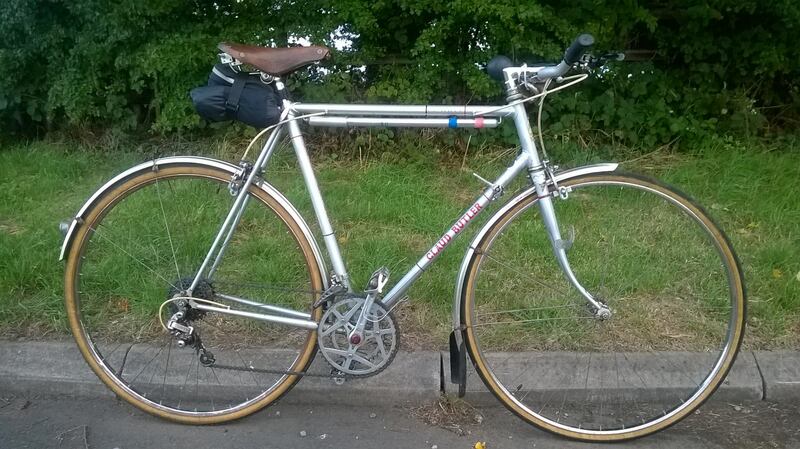 I had removed the rear rack and set the saddle at a more comfy position for me before commencing the ride . All things being equal it should see some commuter miles this week and it might even see some polishing on its paintwork and chrome . I am not sure what the future holds for the bike ie will it be kept or sold on, I am not sure yet . I have collected two bikes this week and both have been from original owners who for whatever reason are unable to ride again , hence why they have been selling their pride and joy . 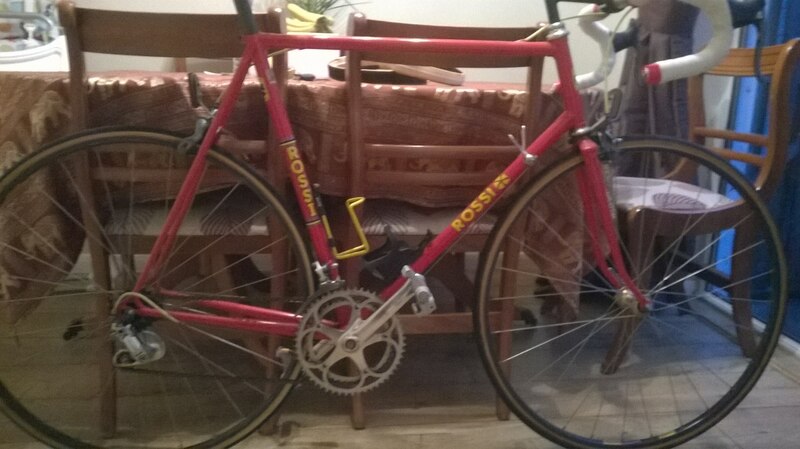 First collection was what I believe to be from the late 80’s and is a Cycles Rossi of Nottingham road bike made with Columbus slx tubing and Cinelli bottom bracket shell . It is nice and light and came with a nice set of gold anodized “Perrin” hubs laced to a set of Mavic sprint wheels. Both Continental tubs currently fitted have issues i.e. the front one is heavily cracked so really only good for a spare whilst the rear seems to have digested its valve core so not quite sure how and if I can get that out and certainly can’t leave it in there as no doubt it will make an exit at the wrong time . The brakes are Shimano exage all-round whilst the gearing is a mixture of Suntour non indexed levers , Campagnola chain set and rear mechanism with a Shimano front mechanism . The rest of the cockpit is made up with a 135 mm black quill stem and a set of Cinelli bars finished off with white bar tape that looks a bit grubby but will do the job for now . Finished in what looks like original red paint that has some age related markings but is still very presentable with contrasting yellow decals , since these pics were taken the yellow brake cabling has been replaced by plain black ones . I have also cleaned and re packed the Stronglight headset needle roller bearings and cups as the steering felt a bit dry to operate and now feels silky smooth . I feel with the above jobs done and another set of clincher equipped wheels fitted the bike is ready for some test miles to be covered so I can make an assessment on what other work is required . The person I purchased this bike off was in his 60’s and had given up road biking due to having knee issues but could still ride an mtb . He was the second owner and had used the bike for over 15 years and had enjoyed covering many a mile with it but the last few years had little or no miles covered by man and machine . I felt like I was being vetted before I was allowed to take the bike away from him but a quick showing of some of the pictures on my phone convinced him that I would use and enjoy his old bike . I was fortunate enough to spend a day in London last week with my daughter doing a mixture of shopping and just having some very important dad and daughter time together. Normally we head straight for Camden Market on these days but this time we went to Portabello Road for a change , I gave my daughter the job of working out what tube line we needed to get us there and back via wherever else we decided to go on the day . First bike spot of the day was a nice Ladies Claud Bulter complete with a Brooks saddle. It amazes me how cheap you can pick up a ladies framed retro bike compared to the gents framed equivalent , with the low slung frame design it has a lot going for it once you realise it , i.e. 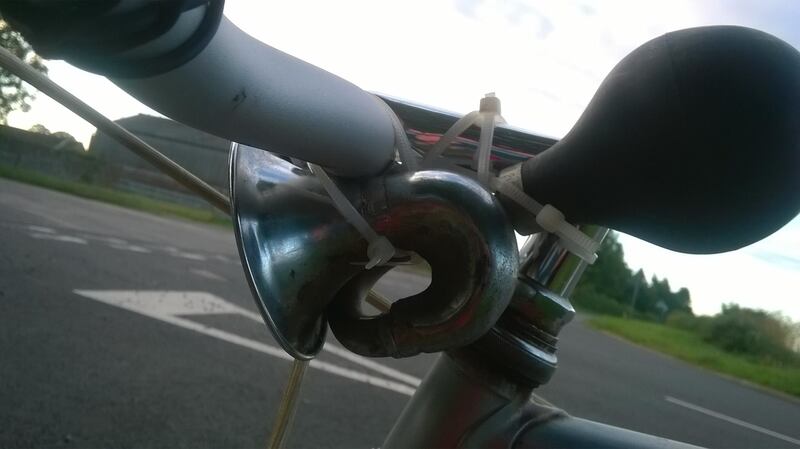 easier to mount and dismount as no top tube in the way . 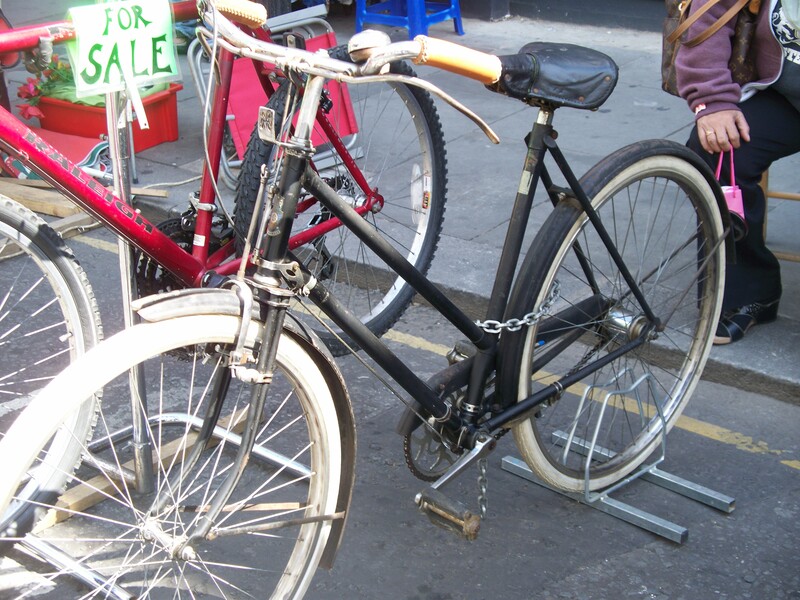 Next up were these two bikes that were actually for sale amongst the various market stalls , one is a fairly modern Raleigh MTB and the other is a lot older Rudge ladies road bike complete with Westwood rims and rod brakes and a very worn Brooks saddle. It looked totally original to me with a quick glance, complete with guards front and rear . I wasn’t sure the white Schwalbe tyres were right at first but the more I look at it , I think they actually do look right . There was no asking price I could see on either bike but both would have been ideal for pooling around town on, if for nothing else . 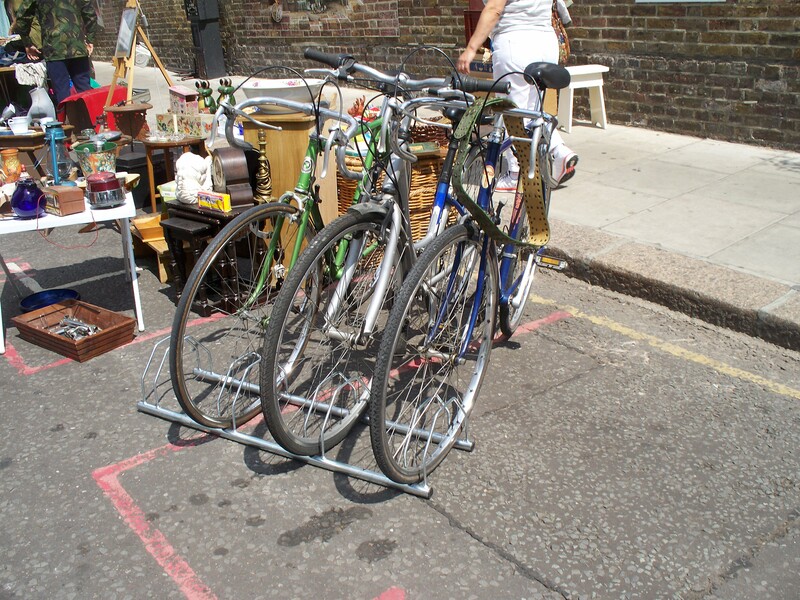 A bit further up Portabello road there were 3 more bikes for sale , this time there were a couple of nice gents road bikes one being a nice Puch whilst the other was a Sun both showed a nice selection of patina both of these would have been from around the 1970’s or early 80’s looking at them . 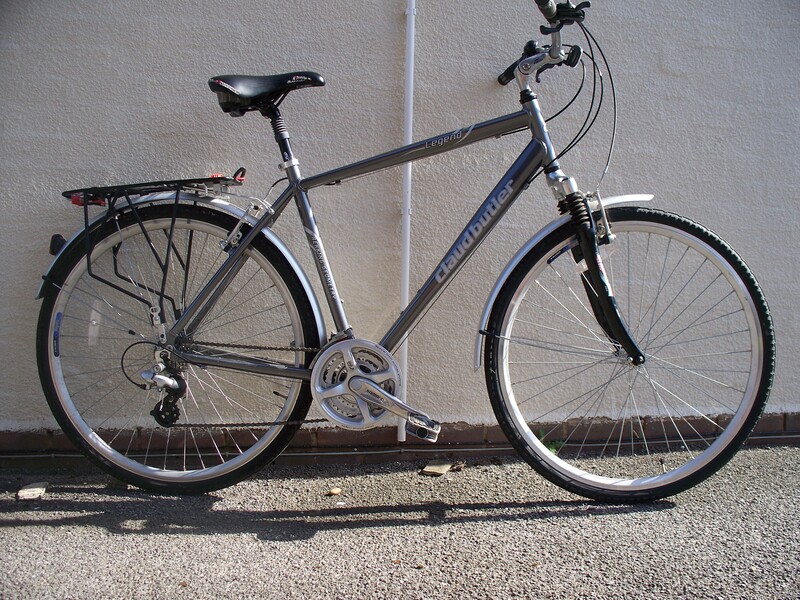 The 3rd one was a non descript ladies bike . 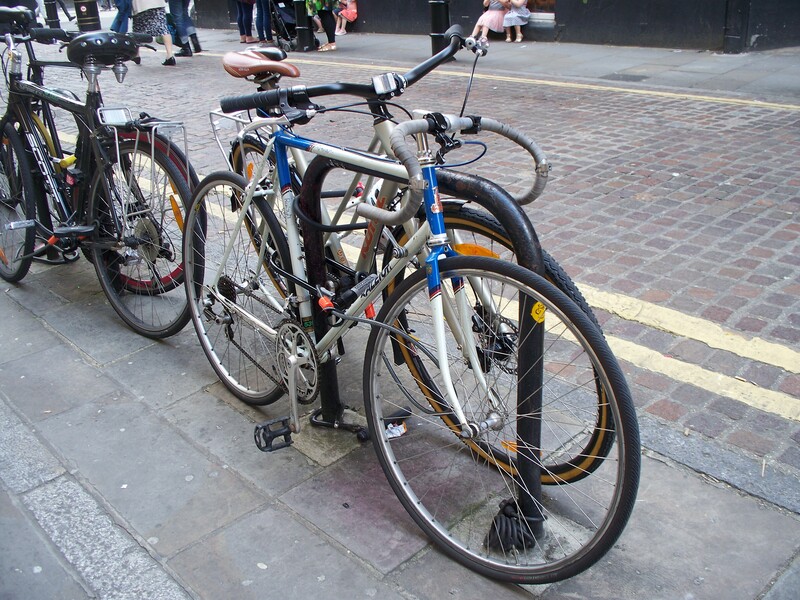 We then moved over to the Covent Gardens area of town , where there were a lot more bikes of all styles and types locked to lamp posts and street railings or any other sturdy fixtures . A lot more of these bikes were newer style bikes rather than older retro ones . A lot of modern bikes don’t do a lot for me so they just get a casual glance if they are lucky where as a retro bike always gets a look . This Raleigh caught my eye as there have been various models over the years that have all used the same or a very similar paint scheme. 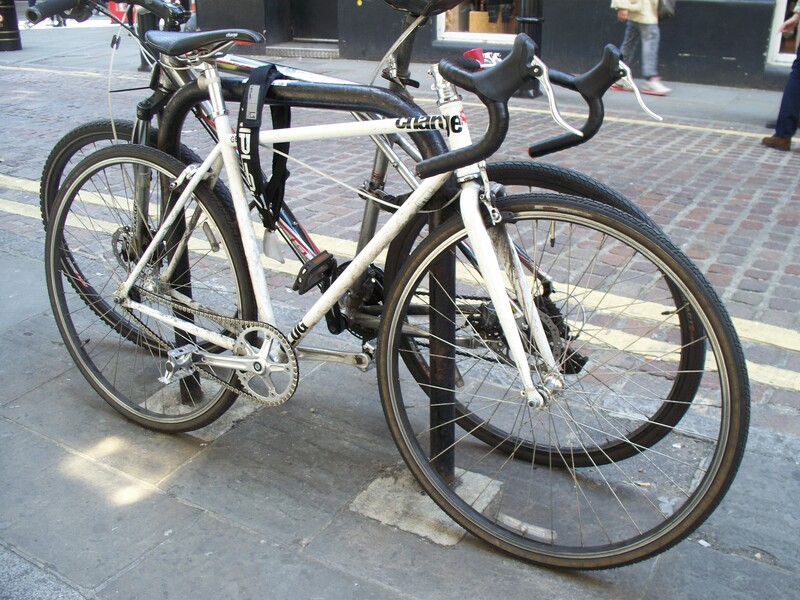 This one sported a Reynolds 531c sticker which caught my eye rather than the more normal 18 – 23 tubing sticker , upon closer inspection I noticed no front brake caliper was fitted which I always think is rather silly but riding around London with just 1 brake has got to be silly rather than fashionable . We then stumbled upon the “Brooks” shop in the Seven Dials area just a short walk from Covent Garden. Apart from being full of leather saddles and other such cycling accessories it also had a couple of rather nice display bikes sporting a variety of “ Brooks” accessories . 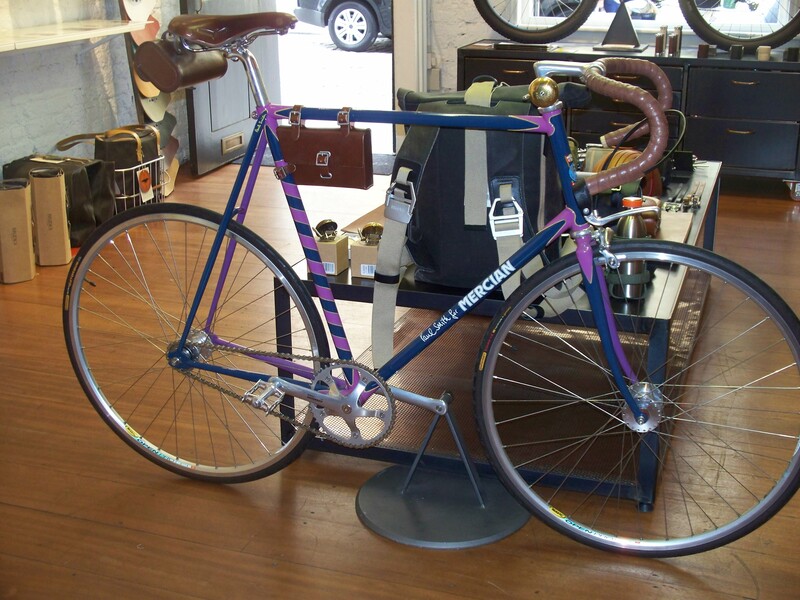 The centre piece display bike was a “ Paul Smith “ single speed Mercian finished in a nice blue and pink combination . There was a very nice “ Hartley” cycles touring / expedition bike which had some stunning detailing around the fork crown area amongst other places . 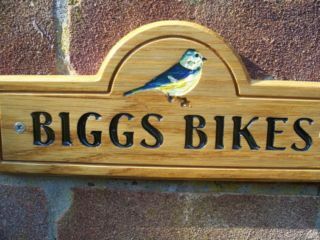 This was name I had not heard of before but it certainly looked very nice with a good quality finish and appearance . So as you can tell whilst my daughter had a good day browsing around the shops her dad had a good bike spotting day as we made our way around London. The bike below was by far the best one of the day , it was ridden up and padlocked just as we approached the area where it was parked . 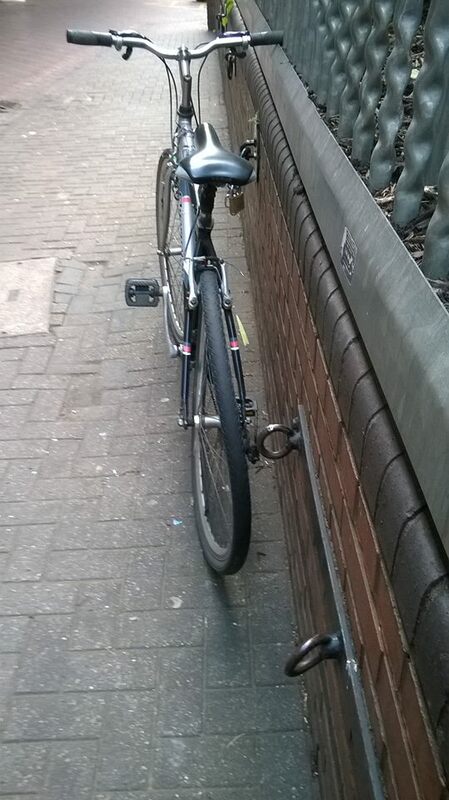 So my question is how do you ride a bike with a buckled wheel like that !